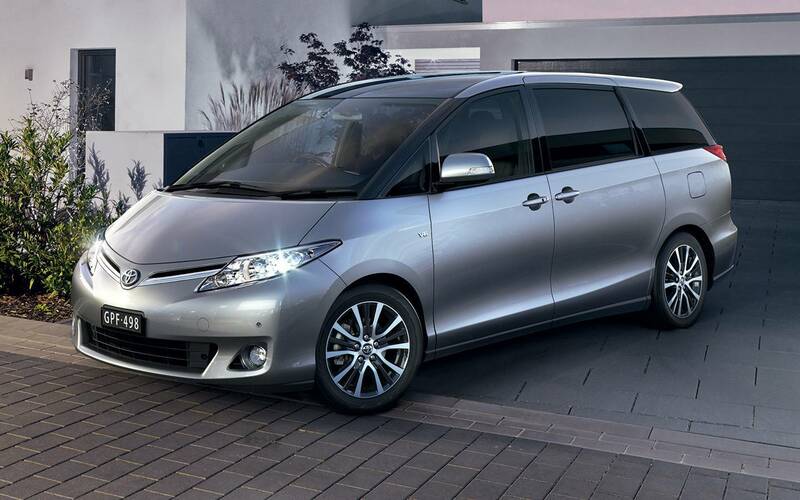 With its low stance and confident presence, Tarago's cutting-edge design brings a refreshing elegance to the people mover category. Tarago's flexible seating design provides ample room for eight adults in the GLi and 4-cylinder GLX, and seven in the V6 GLX and Ultima. 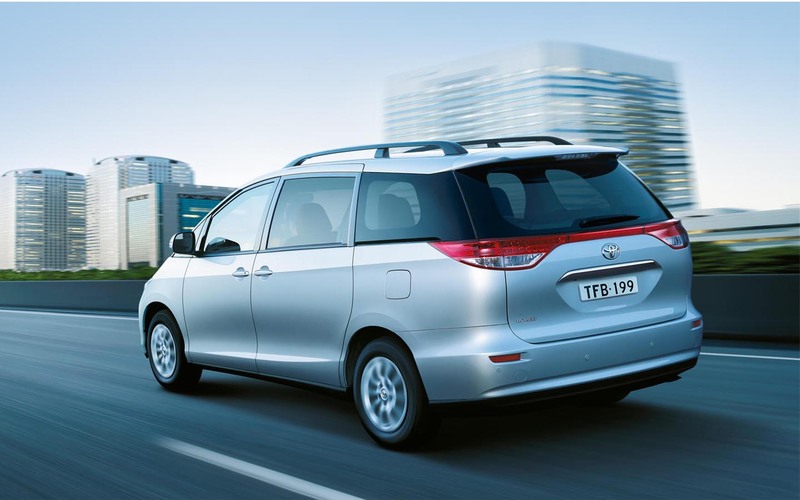 Making it easy to load passengers or luggage, every Tarago features dual sliding rear passenger doors. These are remote powered on V6 GLX and Ultima for extra convenience. 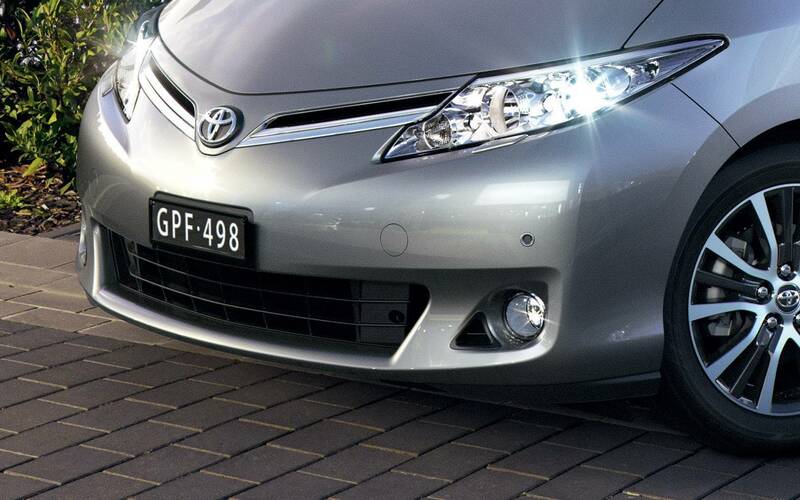 Fog lights built into the front bumper provide improved visibility in foggy conditions and an attractive touch of style. 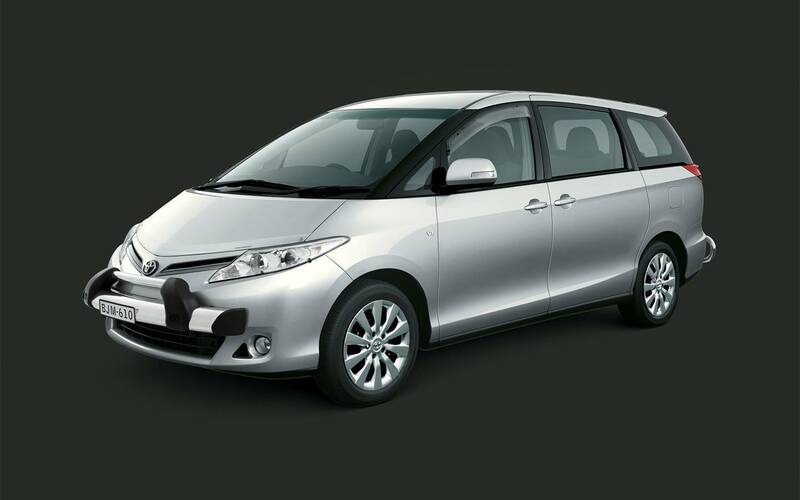 Providing smooth and powerful driving with excellent fuel efficiency. Tarago’s advanced engines are paired with Continuously Variable Transmission on 4-cylinder models, and 6-speed automatic on V6 GLX and Ultima. On 4-cylinder models, Tarago's Continuously Variable Transmission (CVT) provides smooth and powerful driving along with excellent fuel efficiency. 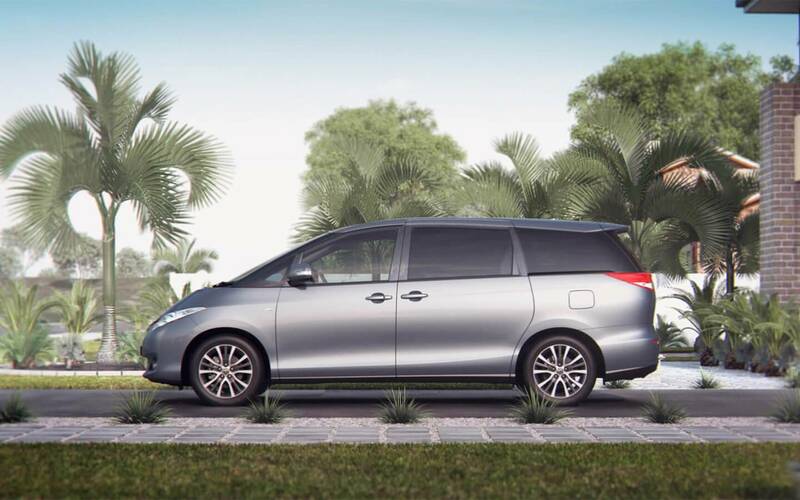 V6 models are teamed with a 6 six speed, electronically controlled sequential shift transmission..
Tarago is equipped with a range of the latest Toyota technological advances, ensuring both you and your passengers enjoy every single drive. Keeping your back seat passengers entertained, Ultima provides a fully integrated ceiling-mounted Blu-ray™ and DVD compatible Rear seat entertainment system. 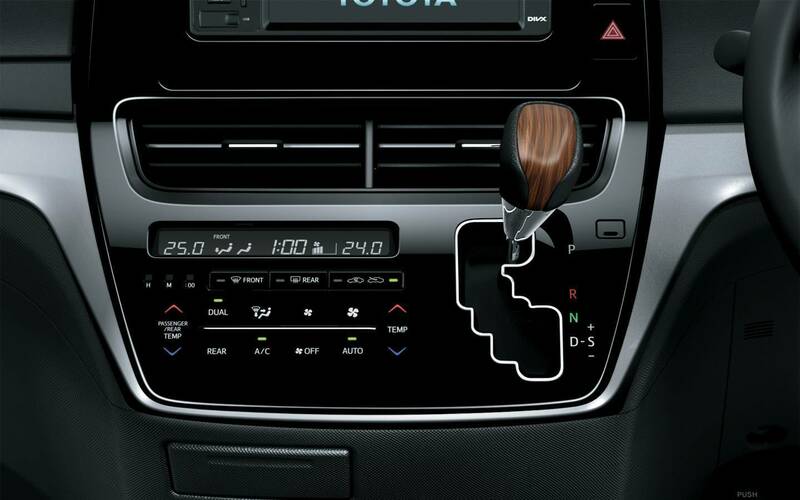 6.1" colour touchscreen is standard across all grades, it has a range of audio and satellite navigation[N1] with SUNA™ traffic channel[C7] to bring tunes to your trip and help guide your way. 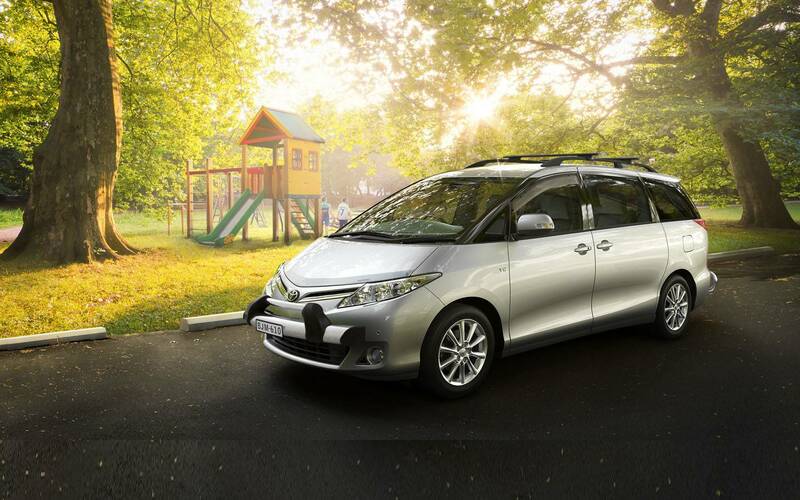 Every Tarago has Smart Start, so you can start the engine with the touch of a button. More convenient still, V6 GLX and Ultima feature smart entry so you can unlock the vehicle while the key stays in your pocket. 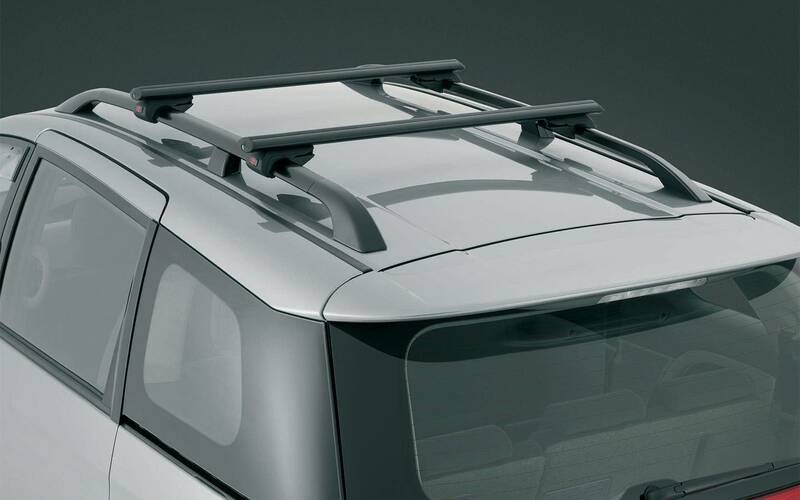 Tarago's many active and passive safety features provide you with reassuringly high levels of control and assist with accident protection. Get help to navigate tight parking spaces or laneways and avoid hard-to-see objects behind you, with a clear view provided by the reversing camera[B14]. 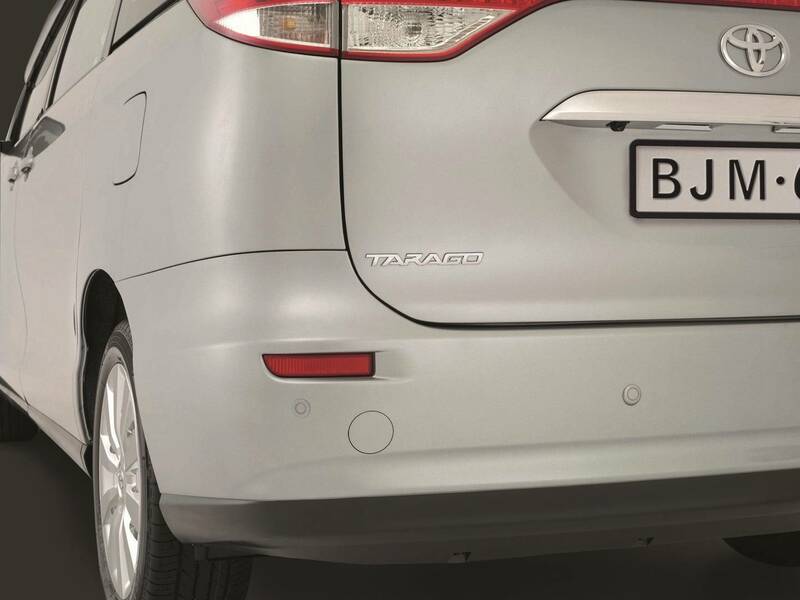 For additional help with parking, GLX and Ultima have six clearing and parking sensors[B18] that use an audible warning to alert you when obstacles are detected near the vehicle. 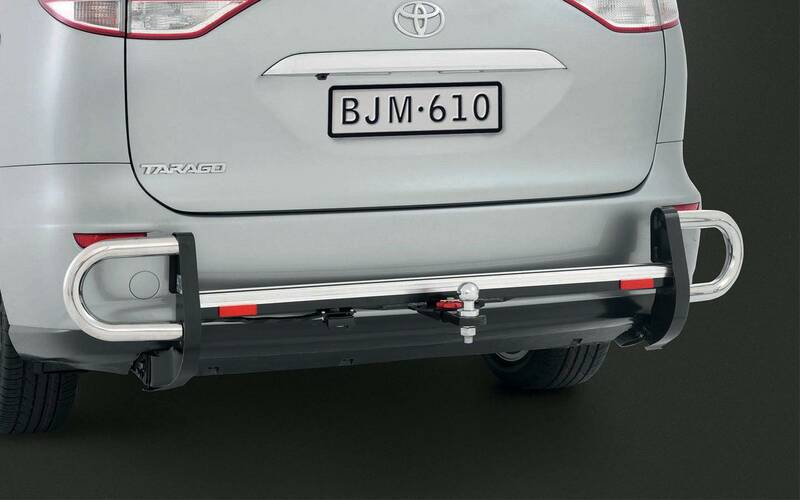 It’s reassuring to know Tarago has extra features to help keep the car both stable and under control on slippery surfaces and while turning on a bend. 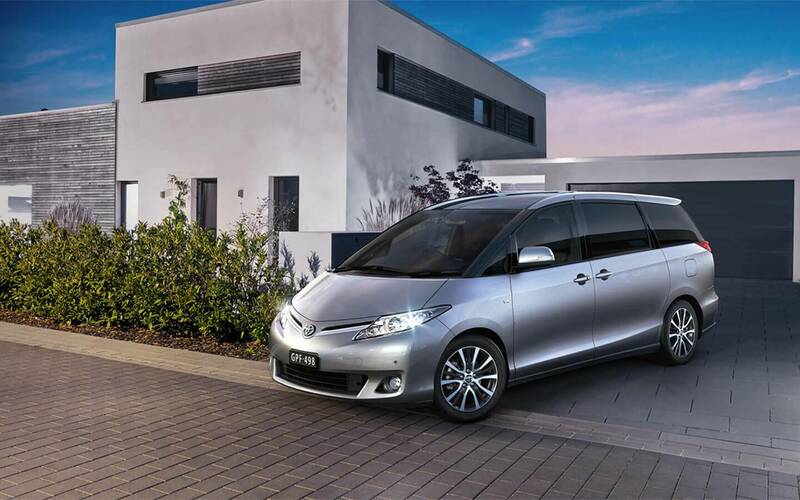 Tarago adds a refreshing look of elegance to the people mover category. 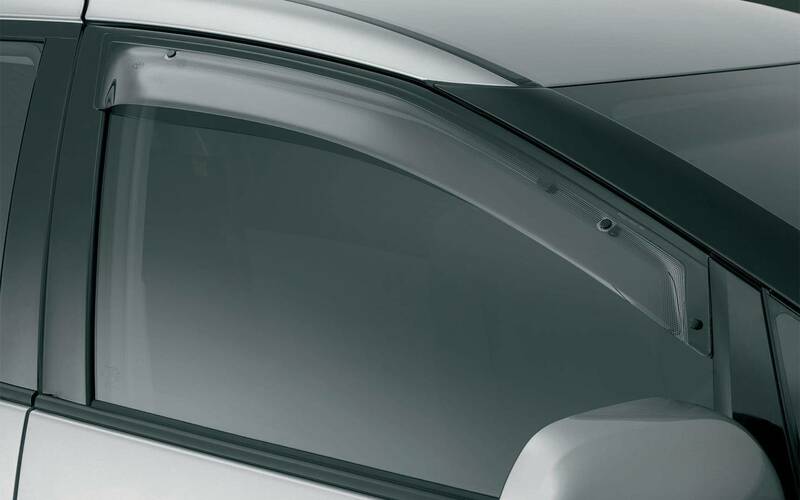 Sitting low and confident, Tarago's cutting edge design also features large side and rear windows providing excellent all-round visibility. Don't risk the safety of your family or friends in foggy conditions. 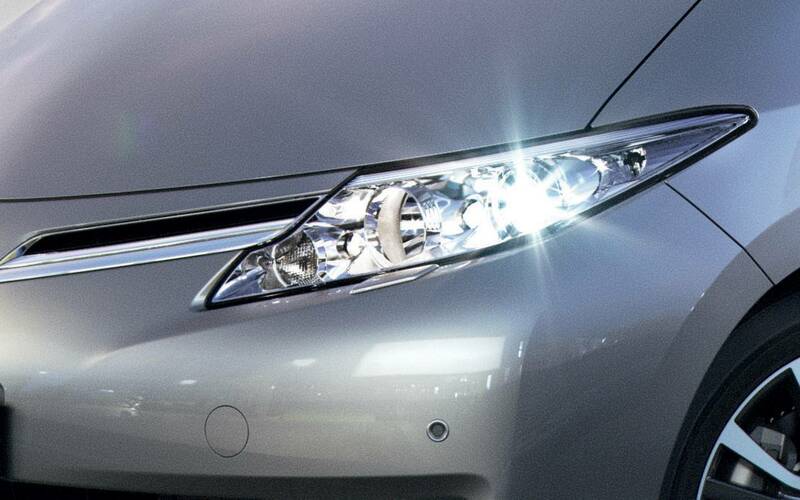 Every Tarago comes standard with front fog lights built within the front bumper, giving you better visibility. The GLi & 4-cylinder GLX feature projector halogen low beam headlamps while the V6 GLX & Ultima boasts High Intensity Discharge (HID) low beam headlamps and Halogen High Beam headlamps with an Adaptive Front-lighting System (AFS). AFS redirects the low beams around bends based on steering input, allowing you to see what lies around the corner. 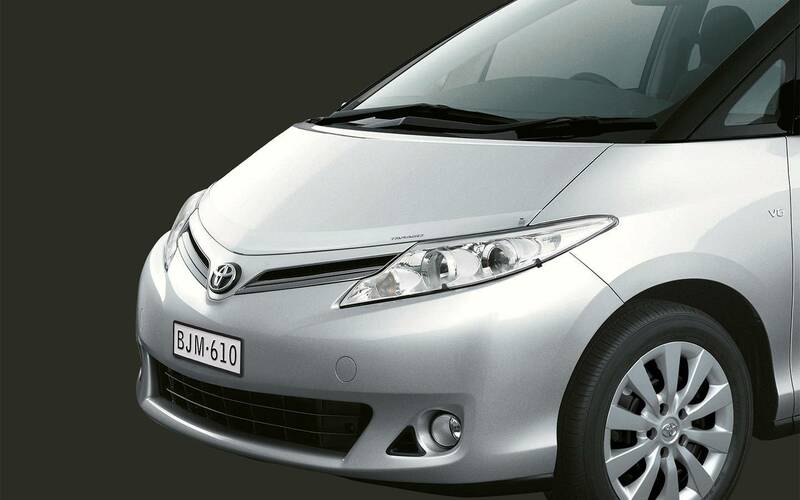 p>When you buy a new Tarago, you don't have to worry about your service costs. 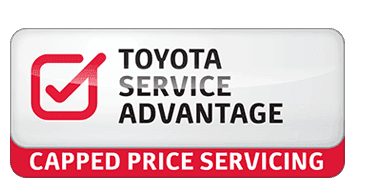 With the Toyota Service Advantage you'll pay the same low prices from one log book service to the next. 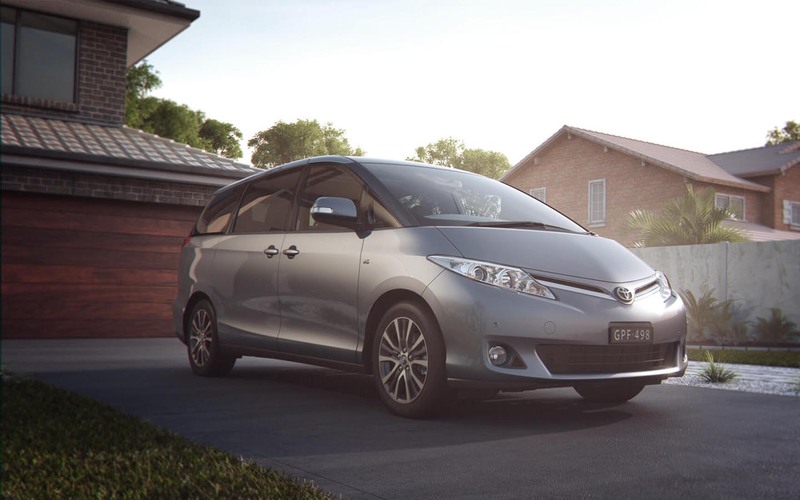 Under Toyota Service Advantage, every new Tarago at Ceduna Toyota is entitled to up to the first 6 standard scheduled services at $180* each for 3 years or 60,000km (whichever occurs first). 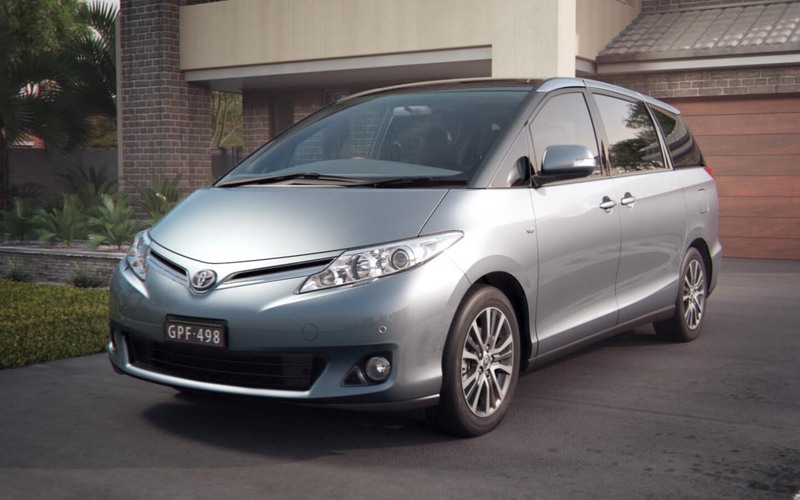 Service intervals on Tarago are every 6 months or 10,000km (whichever occurs first).